#MiWBF17 Features 969 Beers & 130 Breweries! A mixed bag is expected this weekend for the 12th Annual Michigan Brewers Guild Winter Beer Festival, February 24-25 at Fifth Third Ballpark in Comstock Park, just north of downtown Grand Rapids. 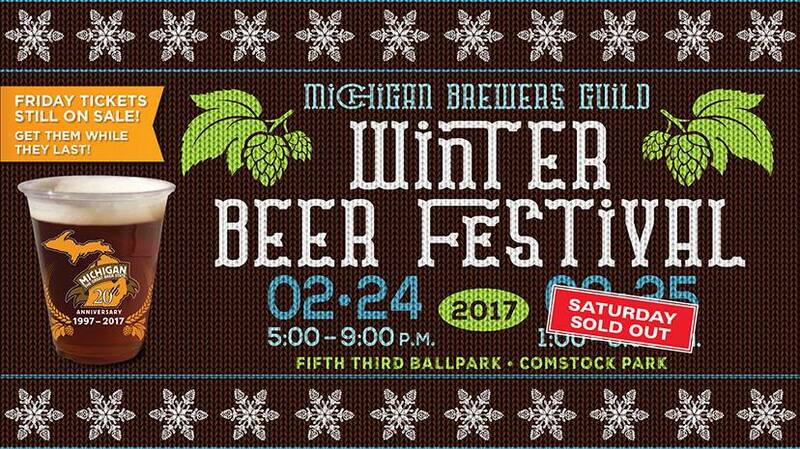 A warmer Friday and a snowy Saturday should make for interesting weather conditions for Michigan’s original winter craft beer celebration — one of four annual events presented by the state’s official trade organization, held by the brewers, for the brewers. Here is the line-up of 969 beers from 130 breweries that the nearly 10,000 attendees can expect to sample throughout the 2-day event (Friday tickets remain available for $45 in advance and $50 at the gate (if available). You can purchase tickets online here. Carr Creek I.P.A. Carr Creek I.P.A. * The Barleywine Formally Known As…. * The Barleywine Formally Known As…. 969 Beers at the Winter Beer Festival this Weekend!